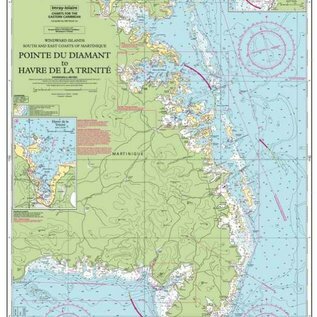 This Imray-Iolaire waterproof chart features the east coast of Martinique Island, one of the Windward Islands in the Caribbean Sea. 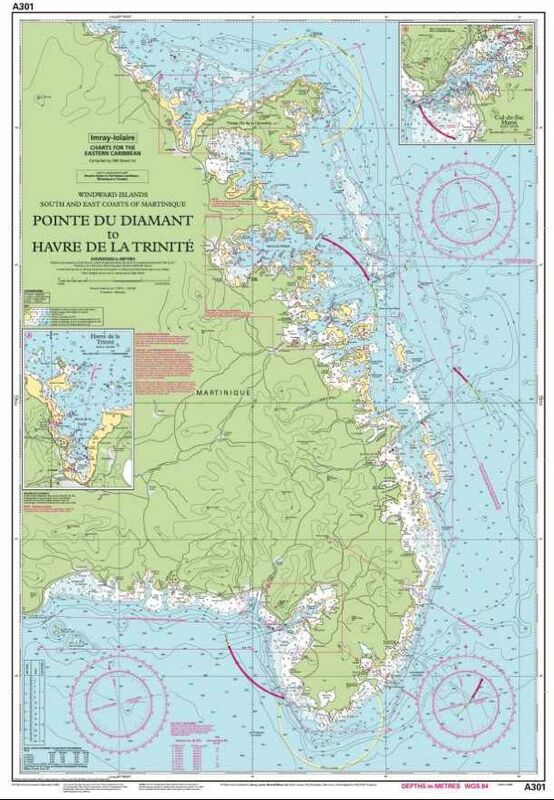 It displays the coastline from Pointe du Diamant to Havre de la Trinite. This Imray-Iolaire passage chart for the Eastern Caribbean is printed in color on treated water-resistant paper and folded for efficient storage.